The use of gas pump card skimmers is on the rise all over the country — even here in Northwest Iowa. However, you can minimize your risk of being a target, if you're watchful for common signs that a gas pump's payment terminal has been compromised. What are credit card skimmers? Skimmers are devices that can be attached to ATMs, gas pumps, and any other external payment terminal. They come in all shapes, sizes and varying degrees of complexity. Some skimmers are physically attached to the machine, extending the card slot so that it captures your information as you slide your card to its true destination. Other criminals install hidden cameras to capture your PIN or zip code, and then slip away with your money without even needing your wallet. Some thieves install fake keypads, replacing replaced the need for cameras. Finally, Bluetooth and cell phone technology can be used to retrieve information from skimming devices — meaning criminals don't even need to be at the scene of the crime when it happens. 1. Check the pump panel for tampering. 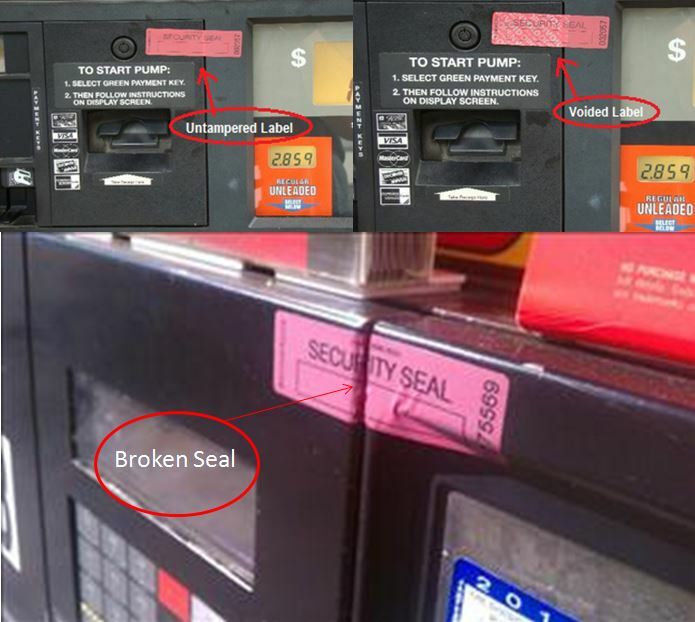 This lockable door on the gas pump or ATM should be closed and securely fastened; many gas stations take the additional step of placing a tamper-resistant seal over the door. 2. Inspect the card slot as well as the PIN pad. Try to wiggle the card slot. If it seems loose, you may want to move along to another terminal. Likewise, if the PIN pad seems obtrusively thick, or if it does not match the pads on other pumps, this is a clear sign that something is amiss. 3. Be on the lookout for hidden cameras. 4. Avoid the pinpad entirely. If you are paying for gas with your NWB Debit Card, run the card as a credit card instead. This limits the cost to the current transaction, affords you additional protections, and avoids the pin pad entirely. 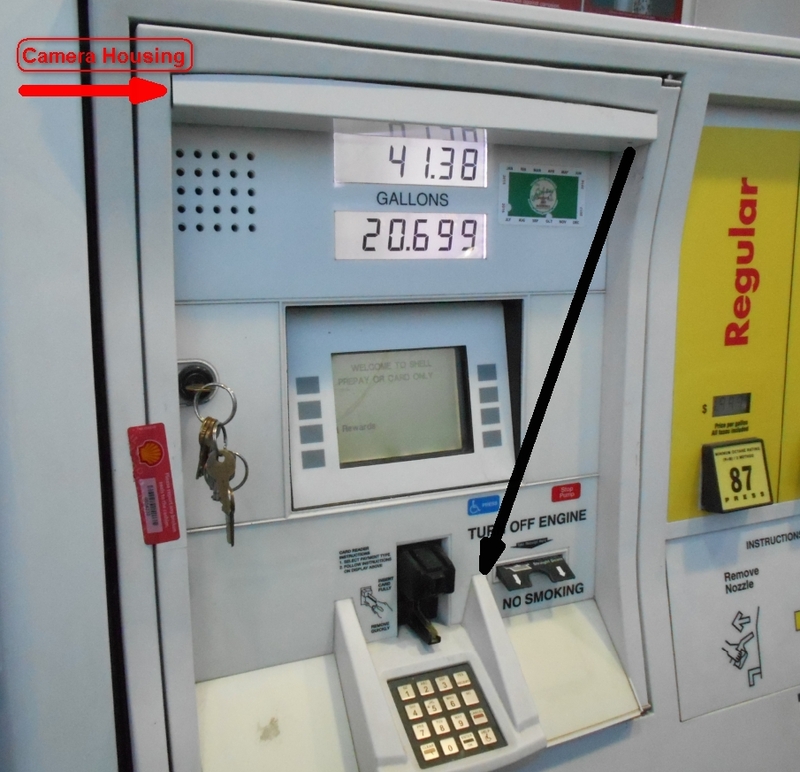 Another way to avoid the pin pad, if you're still wary of a pump's payment system, is to pay for your gas inside. 5. There’s an app for that! While certainly not foolproof, a skimmer detection mobile app called "Skimmer Scanner" has been developed for Android phones that will scan the immediate area for Bluetooth devices as well as the more common skimming devices. This works well for the more modern skimmers but not the older versions, so be diligent in searching for visible signs of tampering. Currently, the "Skimmer Scanner" is only available or Android, but the creators hope to have an iPhone version developed soon. With the advent of the EMV chips and the new, NWB chip-enabled Debit Card, consumers have a way to significantly deter these digital thefts on devices that accept the chip. Unfortunately, it may not be until the end of 2018 before gas pumps and all ATMs have adapted this technology. Until then, stay watchful and alert gas stations immediately if anything seems off to you. And, as always, monitor your bank accounts closely for any suspicious activity. With tools like online and mobile NWB banking, monitoring your account activity is now easier and more convenient than ever! Want to get great financial security tips every month? Sign up for NWB's monthly :90 second newsletter, and get great content handcrafted and delivered to your inbox. Follow these steps to make a monthly budget, using a free Excel spreadsheet template from Northwestern Bank. You've heard of #BlackFriday and #CyberMonday. What about #SofaSunday? When it comes to staying safe during the busiest retail week of the year, we've got you covered. Fake charities. Gift card hoaxes. A secret shopper scam. This holiday season, be on the lookout for fraud.